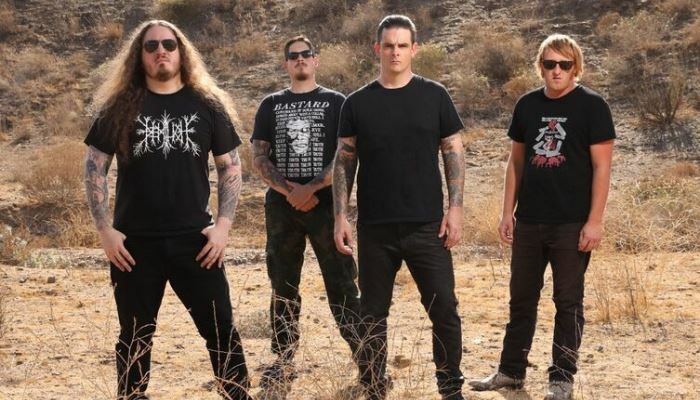 Nails have some debuted two new songs: a music video for one titled “I Don’t Want To Know You”, and an audio stream of “Endless Resistance” featuring a guest spot by Max Cavalera (Soulfly, Cavalera Conspiracy, etc.). Together, the tracks make up a new 7″ titled I Don’t Want To Know You. A remix of “Endless Resistance” by Petbrick (Wayne Adams, Iggor Cavalera) will also be included. The effort will arrive on June 7th via Nuclear Blast; it is out now digitally. Pre-order it here. The effort was tracked by the band’s drummer Taylor Young and mixed by Kurt Ballou at GodCity Studios. 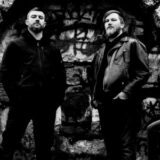 It is the band’s first recording with second guitarist Leon del Muerte (Murder Construct, Nausea, Exhumed). The aforementioned video was directed by Nico Poalillo (Ghost, Chelsea Wolfe). Additionally, the band have revealed a North American headlining tour that kicks off on the release of the 7″. 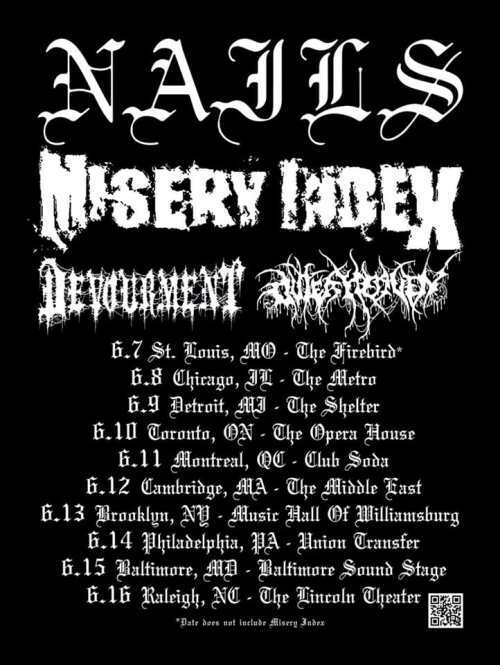 Supporting them on the run will be Misery Index, Devourment, and Outer Heaven. See the dates below and get tickets here.